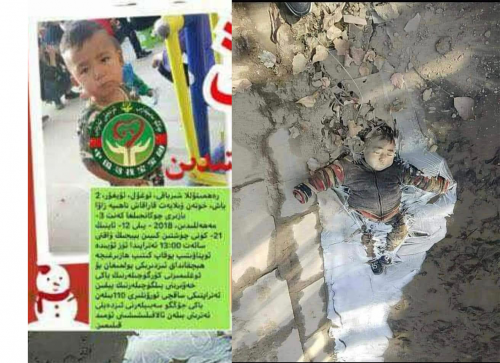 A 2-year-old boy named Rahmetullah Shirbaki was found frozen to death on Dec. 25, 2018, in Hotan prefecture of occupied East Turkistan in China. The family of the boy is from Chokan Jilgha Village, Zava Township, Karakash County, Hotan Prefecture, East Turkistan (a.k.a. Xinjiang, China). The boy went missing at around 1:00PM Beijing time (11:00AM local time in East Turkistan) on Dec. 21, 2018. 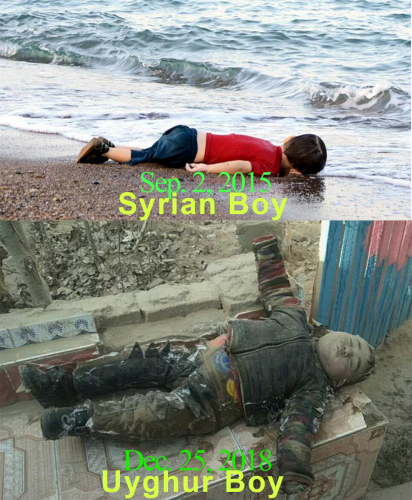 The photo of the drowned 2-year-old Syrian refugee Alan Kurdi had woke up the world on the Syrian refugee crisis. He was found washed ashore near the Turkish resort of Bodrum in September 2015. According to his aunt Tim Kurdi, the boy was only two years and two months old at the time. 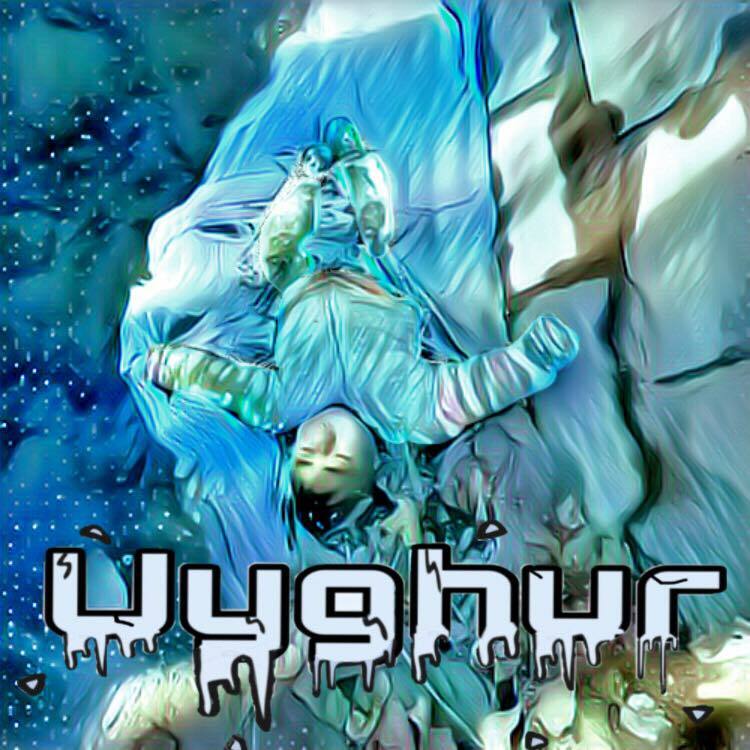 Unfortunately, this Uyghur boy was also 2 years old when he got frozen to death. However, this has not got any attention from the world yet. The 25th of December is supposed to be the day all the family gather together and celebrate Christmas in the United States and other parts of the world. Imagine that a 2-year-old boy is left drowned in a creek for four days and found frozen to death on the Christmas day, while you are sitting comfortably around the Christmas dinner table with your family in warm cozy room. So what had just happened there? A 2-year-old boy frozen to death, and for now it looks like humanity frozen to death too. 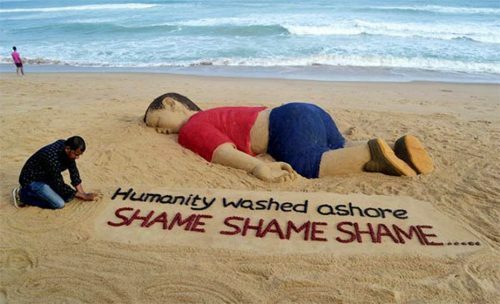 This tragedy could have been avoided, if the world was not silent towards the 21st century concentration camps. The real question is: how did this happen? 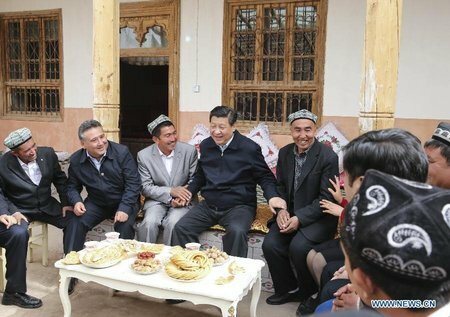 The communist Chinese government has been conducting ethnic cleansing towards the Uyghurs and other Turkic indigenous people of East Turkistan. Since the early 2017, the Chinese communist party (CCP) has begun putting millions of innocent Uyghur people in the so called “re-education centers”. 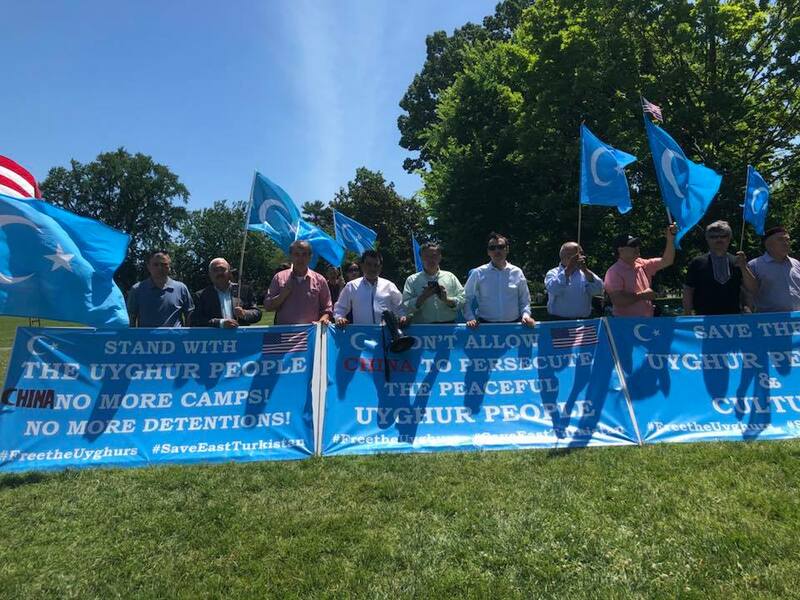 According to the report from UN and United States, approximately up to 3 million Uyghur people are sent to the concentration camps, a.k.a. the so called “re-education centers”. Millions of Uyghur people are locked up in the concentration camps. In many occasions, both parents of the family are taken away. Thus leaving more than 500,000 Uyghur children without parents. Uyghur children have either been sent to state-run orphanages or abandoned on the streets as their parents are in Nazi-style concentration camps. Rahmetullah Shirbaki was one of them. Since the early 2018, more and more reports about the camps began to emerge on Human Rights Watch and other mainstream news media in the United States and around the world. 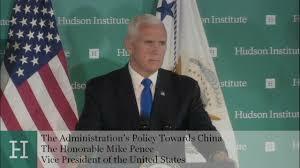 There has been plenty of condemnations by many human rights organizations and some governments over communist China’s crimes against humanity. 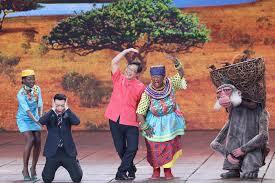 Unfortunately, there has been no practical action to stop the communist China from continuing the ethnic cleansing. The saddest part of this story is that the parents of this frozen 2-year-old boy still have no idea what happened to their dear little boy, if they are still alive in the concentration camps. The little boy had no idea where his parents were while he was slowly being frozen to death in that creek. The last time it took more than 6 million innocent Jewish lives before the world realized it needs to take action. I wonder how many more innocent Uyghur lives it will take before the world realize what is happening to the Uyghurs and take action against the communist China. 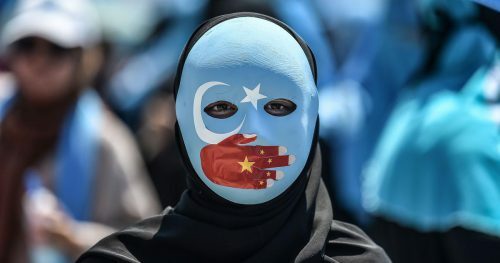 Update: According to the RFA Uyghur channel, Rahmetullah Shirbaki’s parents are currently being held in the Bostankol Concentration Camp in the Karakash County, Hotan Prefecture, East Turkistan.